Extreme Makeover: Home Edition featuring the Bastrop County build, which was recently canceled by ABC will air in December as part of a series of four holiday specials. On the heals of the largest wildfire in Texas history, the Bastrop County Build features a new green home for the Zjroj family, which was designed through a collaboration of Extreme Makeover designers, EFC Custom Home builders and leading architect from The House Designers. 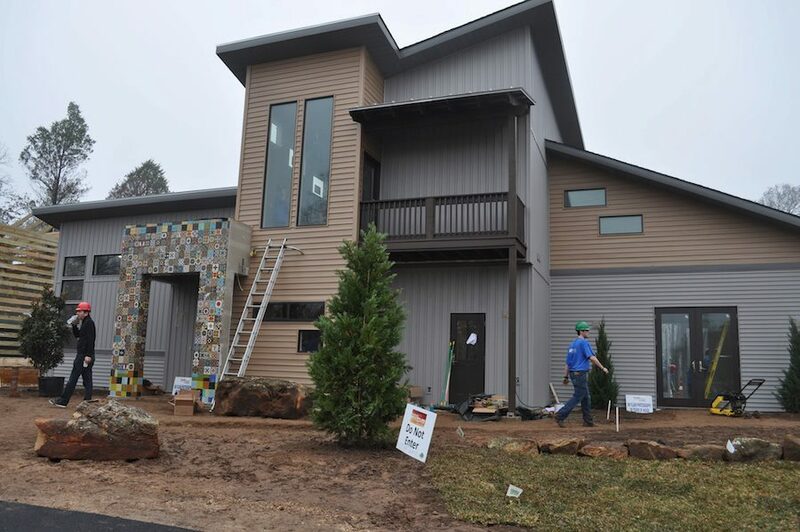 The Emmy award-winning reality program “Extreme Makeover: Home Edition” was recently canceled by ABC, but not before they completed their last build in Bastrop County, Texas for the Zdroj family. Their home was one of more than 1,400 destroyed last September during the largest wildfire in the history of Texas, which took 36 days to extinguish and ravished Central Texas. It was no surprise after the outpouring of public support that ABC and its entourage of white studio trailers headed to Smithsville, Texas where they were joined by approximately 3,000 volunteers under the leadership of local Bastrop Builder EFC Custom Homes and architect Danze & Davis Architects, Inc. one of the founding architects of The House Designers. On Dec. 7 the traditional “Door Knock” with Extreme Makeover host Ty Pennington, a team of designers, builders from EFC Custom Homes and community members greeted the Zdroj family to inform them they were the recipients of the Bastrop County build. The Zdroj family not only lost their home and all of their possessions, but mother Mizzy’s livelihood as well when her farm and art studio went up in flames. During construction the Zdroj family was sent to New York City for a magical Christmas vacation. Part of being quiet means that no photographs can be taken of the interior of the home, which means that no ‘real’ publicity can be given to the builders, volunteers and designers until after the show, which is scheduled to air in December as one of four ABC Christmas specials. What we do know about the new home is that it is just under 2,400 square feet and was built using the latest green building products including geothermal HVAC, solar panels, LED lights, tankless water heating, low flow toilets, ENERGY STAR appliances, low VOC paints and dimmer switches. 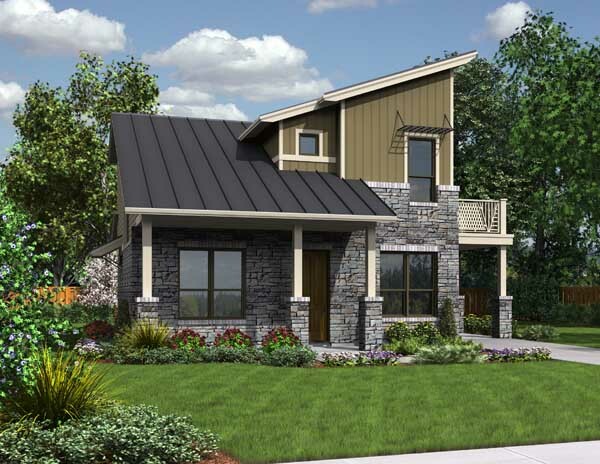 This home is very similar to the Greenview House Plan, an award-winning ENERGY STAR plan by Danze & Davis only available at TheHouseDesigners.com. According to Caver Public Relations, the cast and crew of “Extreme Makeover: Home Edition” were expecting this build to be part of their last season and that ABC would cancel after they completed their 10th season. The show had apparently been suffering from declining ratings since it was moved to Friday nights. However you can view the 7-minute video trailer by LeBaron Productions called “Extreme Makeover: Behind the Scenes,” which captures touching behind-the-scenes footage of a community coming together to rebuild a home for Mizzy Zdroj, who is a volunteer firefighter that spent countless hours battling the blaze. To help keep everyone up-to-date with events in rebuilding Bastrop County there’s a daily blog post you can visit called Rebuild Bastrop County and EFC Custom Homes has great photographs posted on their Facebook, as well as over a 1,000 images on Flickr. “I am incredibly grateful for having been part of a television show that changed the lives of so many people. ABC has decided to cancel the series, but I believe the spirit of what we have done across the country for over 200 families will continue to inspire. It has been an honor to work side by side with the EMHE families, builders and thousands of volunteers who have proven that good hearts can and do change the world. The House Designers supports families and individuals who have lost their homes due to natural disasters. 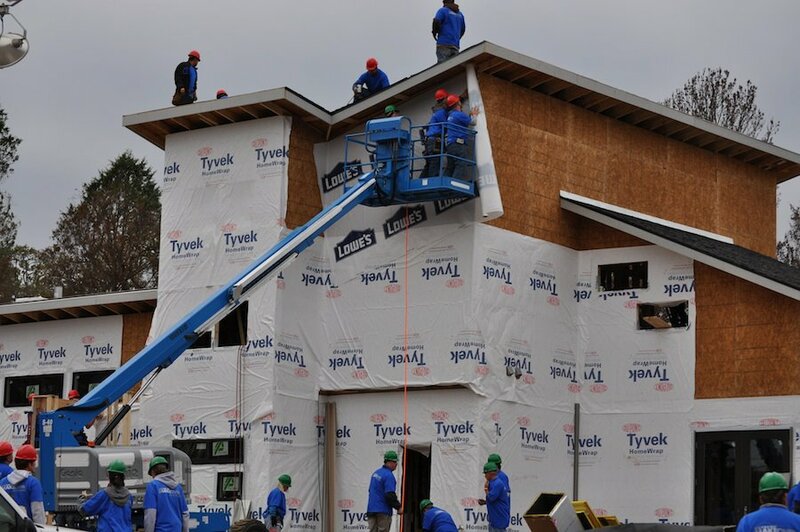 Most recently they have been working with Project Team Up to provide house plans to tornado victims of Tuscaloosa, Alabama to assist in rebuilding new homes for a community left devastated by the worst outbreak of twisters on record. Families can choose from over 6,000 best-selling house plans from the leading designers and architects in the United States. Donations may be sent to 312 Merchants Walk Suite 7, Tuscaloosa, AL 35406. For more information, call Project Team Up at 855-832-6877 or visit http://www.projectteamup.com/. The House Designers supports communities in crisis like Alabama and Texas. For more information on The House Designers’ Housing Relief Program, please contact Christine Cooney at ccooney (at) thehousedesigners (dot) com or 866-214-2242 ext. 200. Award-winning designer Donovan Davis of The House Designers worked with Extreme Makeover: Home Edition to design a new how for the Bastrop County Build.Extreme Makeover: Home Edition new home designed by one of The House Designers architects This home was designed in less than a day and built in 7-days with the help of over 3,000 volunteers for the Extreme Makeover: Home Edition in Bastrop County. 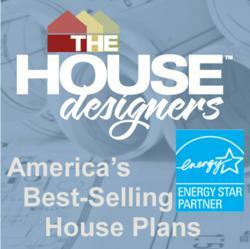 View this award-winning ENERGY STAR/green house plan from Donovan Davis of The House Designers.